We see lots of patients here complaining of back, neck, and shoulder pain and many times, a contributing factor is sitting posture. It’s affecting people of all ages nowadays though because we’re just a sitting society now. Everyone is huddled in front of computers or devices for much of the day. 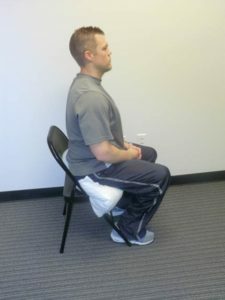 Improving your sitting posture will help you get through your day with less pain and discomfort and hopefully help minimize the risk of having to see one of our physical therapists for treatment. 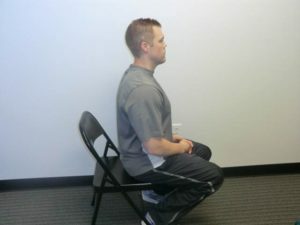 The following are some guidelines for you to consider if you’re a “desk jockey” to help improve your sitting posture. Make sure your shoulders are relaxed, your wrists are neutral, and your elbows are bent to 90 degrees. Stay square to the computer. Do you have multiple screens going at once? Do you have your screen in front of you but your desk/workspace and/or your phone to your right or left? Do everything you can to stay square with what you’re working on. Otherwise, you’ll be rotating your neck and body in suboptimal positions and that can lead to pain. Keep your monitor no less that 20″ away or an arm’s length from you, slightly below eye level. Below eye level encourages you to have a more upright head posture rather than the poor forward head position. Here is a good link that properly shows not only monitor distance but also shoulder and elbow positions that should be encouraged. On the phone a lot? Get a headset. A headset will just help you avoid having your head sidebent/tilted one way. It’s just an awkward position and if done for prolonged periods, can definitely lead to neck pain and headaches. 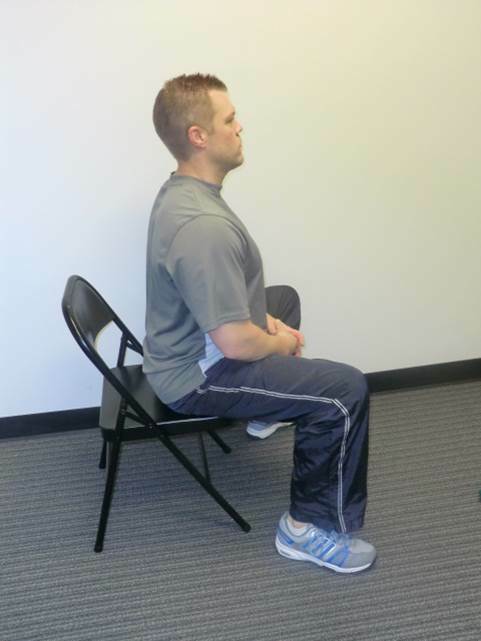 To change things up, try positioning your knees below your hips or straddle your chair. This is a big one and may help. Try it yourself. 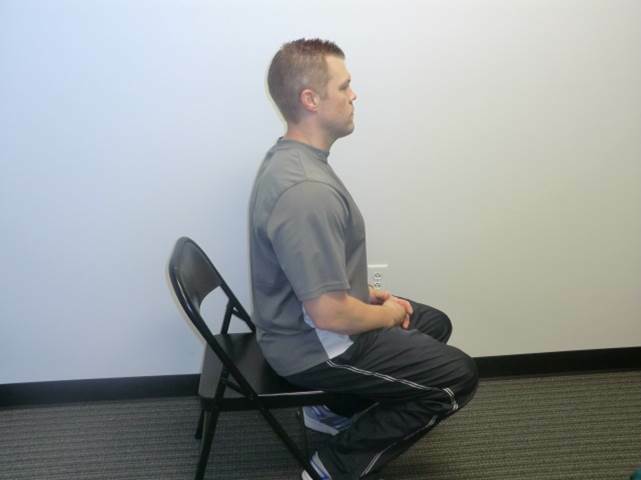 Scoot to the edge of your chair and put your knees below your hips or put another way, tuck your feet under you. You should feel that it immediately helps straighten you out. Even “perfect” posture showed in the link above can occasionally get uncomfortable. The pictures below show some positions you might consider. “Booster seat”. Roll up a pillow and place it under your “sit bones.” This elevates your hips above your knees. Get a standing desk. Standing desks are definitely being used more and more and for good reason. It gets us out of this sitting posture and as stated above, it changes things up for your body. We hope these tips and tricks help you. You may also consider trying these 3 things if you sit all day at your desk to help you get through your day. Should you start having neck, shoulder, or back pain, the physical therapists at SSOR know how to help you. It would be a privilege to partner with you in your care. Give us a call! Remember, you can see a PT in Kansas without a physician referral.